AMS Vans offers the opportunity to purchase one of our wheelchair vans without ever leaving the comfort of your home in St. Louis, Missouri. You'll work by phone or email with one of our knowledgeable mobility consultants to determine what you need and want in a handicap van. 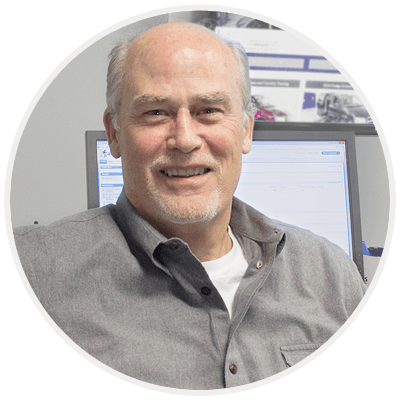 Then, your mobility consultant combs through our inventory of hundreds of new and used wheelchair vans to find those that fit your needs best for consideration. Once you've selected your van, we'll complete the sale and deliver the van to anywhere in St. Louis, Missouri and surrounding cities, like Sunset Hills and Valley Park, MO and Breese, IL! Mileage directly affects resale value. To keep the amount of miles incurred by delivery to a minimum, our customers have the option to have their van hauled by trailer. A mobility professional will drive a truck with your wheelchair van on a trailer to anywhere in St. Louis, Missouri, including cities like Sunset Hills and Valley Park, Missouri, and Breese, IL. Save money and take a vacation at the same time by traveling to our headquarters in Atlanta, GA to pick up your van. Atlanta's major airport, train station, and bus depot are waiting for your arrival. Atlanta is a thriving tourist spot and a beautiful city to explore in your new wheelchair van! By picking up their AMS Vans' vehicle, our customers who travel from the St. Louis, MO area are often eligible for pick-up discount on the purchase price of the van. 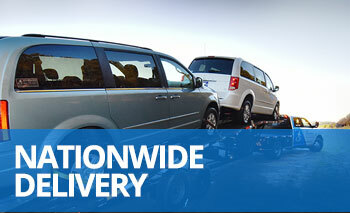 Included in all deliveries is our signature "White Glove Service". Our mobility professional takes the time to go over every aspect of your wheelchair van. We take all the guesswork out of operating a handicap accessible van by demonstrating how to properly and safely use all the adaptive equipment installed during our wheelchair van conversions. Our mobility professional is there to answer any questions that may arise while you try the equipment for the first time. It is just another way we go above and beyond for our customers. Customer satisfaction is of utmost importance to us. We back every delivery with a satisfaction guarantee. Upon delivery, or during the White Glove Service, if you find you are anything less than completely satisfied with your purchase, just tell the mobility professional, who will immediately take the van back to AMS Vans, cancel the sale, and process any refunds without hassle. Louis and nationwide thousands of dollars on high-quality, name-brand wheelchair vans since 1999. Call one of our mobility consultants now at 800-775-VANS (8267) to learn more about how an AMS Vans wheelchair van can put you on the road to mobility freedom. Mobility consultants are available during normal business hours Monday - Friday, EST.